The addiction recovery process can feel overwhelming, but years of research have established effective ways of helping people get and stay sober. Knowing what to expect can make the process feel less daunting. The process of quitting alcohol and drugs can vary depending on the substance. Inpatient, outpatient, 12-step and dual diagnosis drug treatment programs can provide support in early recovery. Withdrawal symptoms vary and will depend on the specific substance being abused. Tips for quitting include setting realistic goals and developing a list of healthy coping skills. Who Answers? today and talk to a recovery support advisor about treatment programs in your area. Quitting alcohol and drugs begins with an understanding that you or a loved one has a problem. The next step is to make a strong commitment to recovery. The type of substance you used. How much and how often you used it. Whether you abused multiple drugs. Whether you have a co-occurring mental health condition. Alcohol is a nervous system depressant that can cause slurred speech, impaired judgment and reduced coordination. Some alcohol users develop a physical dependence that, once established, will result in a potentially dangerous withdrawal syndrome, often requiring medical detox and long-term treatment. Marijuana is a plant with an active chemical component (THC) that results in a sense of relaxation when smoked or eaten. While marijuana has a reputation for being “harmless,” some users experience dependence that impacts their ability to function effectively. Cocaine is a stimulant that can be snorted, smoked or injected. Many cocaine users seek treatment due to strong cravings that make it especially difficult to quit. Heroin is an opiate that can result in profound respiratory depression and overdose, with an injectable route of administration that can increase the likelihood of contracting an infection or virus. Heroin users often choose medical detox and further treatment because of the drug’s unpleasant withdrawal symptoms and strong cravings. Crystal meth is an illicitly manufactured stimulant. This street product frequently contains a number of toxic chemical contaminants. Treatment programs can help users manage the irritability, mood swings, and anxiety that they feel when trying to quit. LSD is a hallucinogenic drug that, in addition to causing hallucinations, can produce other sensory disturbances that may last for up to 12 hours. While LSD’s popularity has waned in the last few decades, many treatment programs can assist with quitting LSD or similar hallucinogens. Adderall is a stimulant medication often prescribed for attention deficit hyperactivity disorder. At high doses, it can give users effects similar to other stimulants such as cocaine. Some people abuse Adderall to get high, study or lose weight and become addicted to it. Antidepressants are prescribed to manage a variety of mood disorders and other mental health conditions. For many, they are an invaluable component of treatment for depression and anxiety. However, some people abuse them for their stimulating effects. Oxycodone is a prescription opioid that can cause a high similar to heroin. Oxycodone is highly addictive and causes uncomfortable withdrawal symptoms that are often best managed by detox centers and treatment programs. Ambien – also known by its generic name zolpidem – is a prescription hypnotic, or sleep-aid. It is prescribed by doctors for the short-term management of insomnia. Many users fall victim to the alluring sedation that it may provide, and/or find themselves taking more than the necessary dose, as they are unable to sleep at all without it. Steroids can be prescribed by doctors for various conditions. But they may be abused to enhance physical appearance and build muscle mass. Users may find their effects reinforcing and become addicted.2 Quitting steroids can lead to withdrawal symptoms, including depression and suicidal thoughts. Think about which option works best for your situation. You have several treatment options if you’re ready to start the recovery process from alcohol or drug addiction. Before you make a decision, think about which option will work best for you. Have tried treatment before and relapsed? Are you able to take time away from work or home? Are you struggling with a mental health issue in addition to addiction? These are all things to consider before choosing a program. Inpatient rehab programs are the most intensive form of treatment. You live at the treatment program for anywhere from 30 days to 90 days or more. Inpatient or residential programs offer group, individual and family therapy. Benefits include 24/7 monitoring and support from trained professionals, protection from outside triggers and an opportunity to focus solely on recovery. Outpatient rehab programs provide substance abuse treatment while participants continue to live at home or at an outpatient sober living facility. You can attend outpatient treatment for 1 to 5 days per week, depending on the program. Outpatient is helpful for people seeking treatment for the first time and those with relatively less severe addictions. Partial hospitalization, or PHP, is a step down from inpatient treatment. Most PHP programs offer treatment 3 to 5 days a week for 4 to 6 hours per day. PHP programs are ideal for people transitioning from inpatient treatment, for those who require regular access to hospital services or for those with severe addictions who simply cannot attend inpatient treatment. Intensive outpatient, or IOP, allows you to attend treatment 2 to 3 days per week for 2 to 4 hours per day. 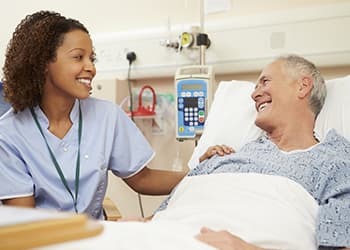 IOP programs are a good choice for people transitioning from inpatient or PHP programs, for those with mild to moderate dependence or for those looking to devote time and attention into maintaining recovery without entering a residential program. 12-step programs are based on the philosophy of Alcoholics Anonymous. These programs include recognizing your powerlessness over alcohol and other drugs, relying on a higher power for support and forming connections with other sober individuals. They also encourage you to find a sponsor and work the 12 steps. Dual diagnosis is a specific type of treatment that helps people recover from both substance abuse problems and other mental health issues. Many people with drug and alcohol problems experience mental health symptoms before they ever start using or drinking.3 Dual diagnosis programs may be inpatient or outpatient, and they often include a staff of psychiatrists, psychologists and therapists who have experience treating mental health issues. Who Answers? to learn more about detox centers and treatment programs in your area. Withdrawal symptoms are physical and mental symptoms that occur when you stop using drugs or alcohol. They are common with many different types of substances, and they can begin within hours or days after the last use. Symptoms vary in intensity and duration, with some lingering for a few weeks and others lasting longer. There have been cases of post-acute withdrawal symptoms that persisted for years. The withdrawal symptoms depend on the type of drug you are trying to quit. Opiate withdrawal: can cause flu-like symptoms including nausea, vomiting, runny nose, cold sweats and aches and pains. Stimulant withdrawal: may include insomnia, depression, irritability and changes in appetite. Alcohol, barbiturate and benzodiazepine withdrawal: can be both uncomfortable and dangerous. It is strongly recommended that a medical professional closely monitor your withdrawal symptoms. Severe symptoms can include hallucinations, shakiness and confusion, and seizures. How frequently and long the drug was used. Detox allows your body to remove all the drugs and alcohol from your system. Detox is the process of allowing your body to remove all the drugs and alcohol from your system. Professionally run detoxification programs will vary in their respective methods. But a structured detox can be done safely at a specialized detox center, as an initial step to many substance abuse treatment programs and, in some cases, even in an outpatient setting..
During a medically supervised detox, doctors may prescribe medications to ease unpleasant withdrawal symptoms, which reduces the likelihood of relapse. Cravings are also common during detox and may feel unbearable at times. A doctor may prescribe medications to help you manage cravings. Detox may be the first step in the recovery process, but it is not a substitute for treatment. For some people, it is also the most difficult step. But it sets the foundation for transitioning to inpatient or outpatient treatment, where you will continue to receive support and learn ways to cope without drugs and alcohol. Quitting alcohol and other drugs can be challenging. Follow these tips to help you remain on the road to recovery. Set realistic goals. At certain points in recovery, you’ll probably feel unmotivated, frustrated and defeated. You may even wonder if it’s worth it. Setting goals helps keep you motivated and on track. For some people, the old slogan “one day at a time” reminds them to only worry about staying sober that particular day. Other people prefer long-term goals. Give yourself a small reward each time you reach a goal. Create a list of healthy coping skills.What did you like to do before you started using drugs? Healthy coping skills can include reading, journaling, doing yoga or meditation, exercising or going to a concert. Write down at least 10 activities you enjoy and keep the list with you to refer to when you’re vulnerable. Know your triggers. What makes you want to use? Is it a friend, a family member, an emotion, a place in your neighborhood or seeing paraphernalia? Being aware of your triggers can help you develop a plan of action. Some triggers, like the bar or a drug dealer’s home, can be avoided. Others, like feeling angry or depressed, can be managed by using healthy coping skills and relying on a good support system. Develop a sober support system. Sober support can include people in recovery, friends and family who do not use or people who do use or drink in moderation but respect your recovery. You can find like-minded people at recovery meetings such as Alcoholics Anonymous, Narcotics Anonymous, SMART Recovery and Women for Sobriety. If you’re ready to begin a treatment program for alcoholism or drug addiction, call a recovery program advisor today at 1-888-319-2606 Who Answers? . These trained representatives can help you locate a rehabilitation program in your area that fits your needs.
. National Institute on Drug Abuse (2015). Synthetic Cannabinoids. Drug Facts.
. National Institute on Drug Abuse (2012). Anabolic Steroids. Drug Facts.
. Kessler, R. C. (2004). The epidemiology of dual diagnosis. Biological Psychiatry 56(10), 730-737.4.